The increase of data prevalent in all aspects of today’s world requires that students are more literate with mathematics than ever before. To support students’ growth with learning math content and skills, a variety of courses are offered. These courses include everything from Algebra and Geometry to Calculus and Statistics, as well as Computer Science. A number of courses offer college credit as part of successful course completion through both Advanced Placement tests as well as through dual-credit with Oakton Community College. At the heart of math instruction in Maine 207 is providing students with hands-on learning experiences that require and support them to solve real problems and develop mathematical thinking that can be applied to new problems in their futures. 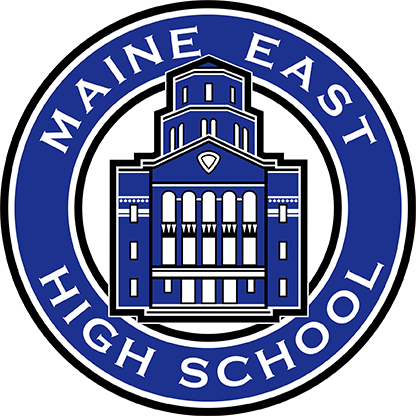 The Maine East Math Placement Exam is on Saturday, March 9, 2019 at 9:00 am in the Student Cafeteria. The Placement Exam is ONLY for students currently enrolled in Algebra 1 or Algebra 2 who will be attending Maine East in the fall of 2019. Contact Math Chair, Jill Sweetwood ([email protected]) if you have any questions.